Missives from a Misanthropologist: Karl Pilkington: Idiot or Philosopher? Last week, I was told of a travel show put on by Ricky Gervais called An Idiot Abroad. The premise of this show involves Gervais's dim-witted friend Karl Pilkington traveling the globe to see the New Seven Wonders of the World (including the Great Pyramids instead of the Colosseum). Along the way, Karl must navigate local cultures and customs much to his chagrin and Gervais's delight. The very title of the show sort of sums it all up. Karl has been labeled an idiot. Stephen Merchant describes Karl as a "typical small Englander" who doesn't care much for travel. Gervais and Merchant put Karl through all manner of awful experiences that most budget travelers are all too familiar with. He stays in awful hotels and hostels, is kept awake by street noise and party-goers, is forced to eat foods that are he considers absolutely disgusting, etc., etc. Believe me, if you've ever traveled as a backpacker, you've probably experienced most of what he goes through. However, the most interesting thing about the show wasn't the Wonders or the cultures. It was Karl himself. Despite the constant complaining and cringing, I was amazed at the humorous, yet oddly poignant observations this so-called simpleton made. In Mexico on Easter Sunday, Karl was witness to the Burning of Judas festival. He asks his guide what this has to do with Easter, since he doesn't see Jesus or chocolate eggs anywhere. The guide is stymied for a second and has to formulate an answer, which tells me that he hasn't really thought much about it himself. After thinking for a few seconds, the guide explains that the burning objects are a proxy for Judas Iscariot, and that the festival is symbolic revenge for betraying Jesus. Now, here's where I begin to view Karl as less of an idiot and more of a Socratic philosopher. By his line of uncomplicated questioning, Karl made his local guide think about the festival and explain it. I'm inclined to believe that Karl has forced a deeper understanding of the festival upon the guide, even though he himself admitted to knowing nothing about it. 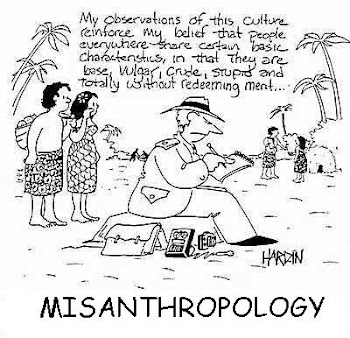 I was also beginning to view Karl as a hell of an amateur anthropologist. I mean, I went to school for six years to learn how to ask this sort of simple question, and he's doing it naturally. Now, as unintentional as this may have been, is this the work of a proper idiot? I did some Internet searching and I found another documentary starring Karl titled, Karl Pilkington - Satisfied Fool. This production follows Karl around as he takes a Mensa IQ test and talks to "intelligent" people as he tries to decide if he would be happier if he were more intelligent. At the end of the show, we're informed that his IQ score was 83 (the national average in the UK & US is 100). This show is not amusing, but it is enlightening. Despite Karl's lack of education and his apparently low IQ score, the way in which he handled the deeper question of the show reinforced my perception of him as a philosopher, albeit a simple one. At the end of the show, Karl wonders if he would still be himself if he were smarter. That question alone shows both wisdom and character. This is my first exposure to Karl... simply amazing! I wonder to what extent he knows he's being made fun of?